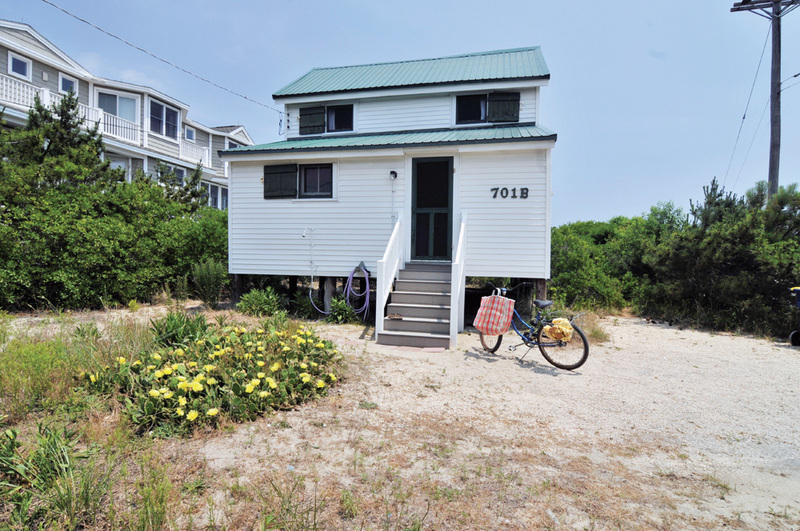 The McCabe Cottage is located at 701 Bunting Avenue (oceanfront, at Atlantic Street) in Fenwick Island. The Historic Coastal Towns Cottage & Lighthouse Tour will take place on Saturday, Oct. 6, from 10 a.m. to 4 p.m. at locations in and near Fenwick Island. The tour features historic cottages and the lighthouse, and will benefit the planned Coastal Towns Museum. Vance and Pearl McCabe started coming to the Fenwick beach as children, from Roxana. Pearl’s parents were part of the group who moved the Methodist camp meeting from Williamsville to Fenwick in the 1890s. Her family owned a “tent” on the old Lea Avenue, which ran from the tabernacle to the ocean. After Pearl and Vance married, they built their first two cottages — this one and another on the oceanfront of South Carolina Street. They purchased 12 lots in Fenwick in 1940, when the State gave in to demands to allow squatters to purchase lots. In 1946, they started renting the cottage and built the smaller turquoise cottage beside it to stay in during the summer months, when they had off from teaching. They also farmed, grew chickens and sold eggs by the thousands to the larger hotels in Ocean City, Md. The cottage was knocked off its pilings during the 1962 storm and landed on the beach near the water’s edge. Vance got a team of horses and men to carry it back to its original spot and placed it on the newly hand-dug pilings. Except for plumbing and an indoor bathroom added in the late 1950s, when outhouses were outlawed, the cottage remains basically the same as it has been from the time it was built. Tickets to the tour are limited and must be purchased in advance at Sea Shell City in Fenwick, at the Ellen Rice Gallery in Ocean View, at Made By Hand in South Bethany, or online at www.thequietresorts.com. Tickets cost $25, and proceeds support the creation of a new Coastal Towns Museum at 40 West Avenue in Ocean View. While Fenwick Island homes are featured on this year’s tour, historic cottages in Bethany Beach will be featured in 2019, also to support the developing Coastal Towns Museum.